In some of our previous articles about blogging and content creation, we have mentioned about keeping your content relevant to your customers and followers. In other postings we have mentioned that the key to keeping your audience is keeping up your blogging and social comments, not letting too much time pass between them. 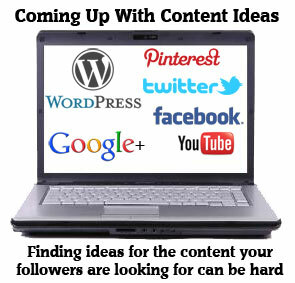 This is not always easy, as sometimes you just cannot come up with ideas for your content that you have not already posted. In a recent blog, we advised small business owners not to try to follow trends, but to build on their previous successes. This might not be as true when it comes to what blog and social media content you may want to create. But you you always want to be current and relevant in the content you are providing to your followers. The last thing you want to be sharing is “old news” or out-of-date statistical information that may cause you to lose followers. After a while, it sometimes becomes hard to come up with that next blog idea or what you are going to post on your small business social media pages. One of the ways you can help yourself is by researching not only the trends in your industry or the topic you write about, but also those industries that feed into your supply chain – or the industries of your customers and followers. Telsec Business Centres is in the office space rental and the virtual office business, but we are also in the business of supporting small businesses. Most of our office-for-rent and virtual-office clients are small business owners, just like many of our social followers. Our blogger does a great deal of reading and researching about topics that are important to our followers, so that we can provide the content they want to read. The challenge for us is finding the topics and advice that they do not get from other places, and giving them information they can readily use. Researching various topics and making notes about them that might be relevant to the blog or article you are working on, might come in hand for future blog ideas – or simply as just facts that you can use in a blog or a social posting. If your customers or followers are geographically based, consider reading up on issues that are affecting that region or interesting historic tidbits to share in a posting. Even when you are struggling to find content ideas, there are topics you should not get tempted to write about: Unless your blog is specifically about religion or politics. Avoid those topics. Attacking a competitor or another blogger is not only bad form, but it could also land you with a libel suit for defamation. When you feel like you want some help coming up with topics and ideas for your blog, there are sites out there like MyBlogU.com that are intended to help bloggers collaborate and come up with ideas. These are sites that many bloggers just like yourself visit to interact with other bloggers and help each other out, as well as to network. Ideas and inspirations for blogs can sometimes come at you when you least expect it – so when they do, write them down. You may not have the entire blog figured out, but at least you have an idea of where to start. Most smartphones have a memo or even a voice memo option on them. Learn how to use them before that idea comes to you and you lose it because you did not have a pen and paper at hand.